When I built RGS no.42 in TTn3.5 (see thread) and started that layout, I suspected a relocation might happen. I figured any place would have room for that system---NOT!---So at our new residence the home layout would have to be outdoors. If very small won't work, how about VERY LARGE? 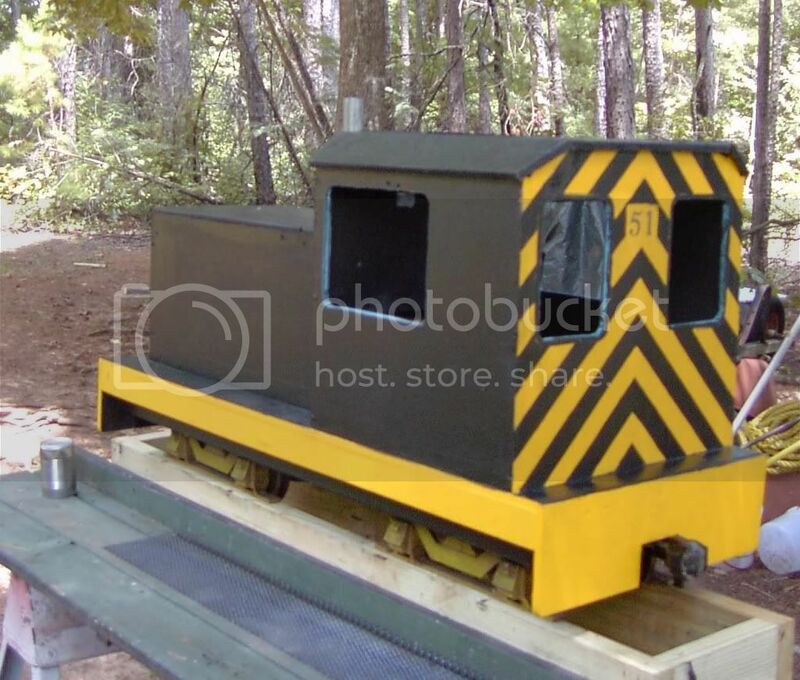 What I decided to try is 3 ft narrow gauge on 7 1/2 inch gauge (ride on) track. Do the math. The scale works out to be 1 to 4 point 8 (1/4.8) or exactly 10 times O scale (and, of course, ten times the size of On3 and On30, also). (O-10n3 ) There is room in the back yard (about 100ft X100ft) for a "small" layout in 1/4.8. This compares to a 10ft X 10ft room for On3. Not a huge space but with a VERY tight budget it should be plenty. "A micro layout in a mega scale". When 7 1/2 (or 7 1/4) is used as standard gauge, the trains are usually built 1/8th actual size. 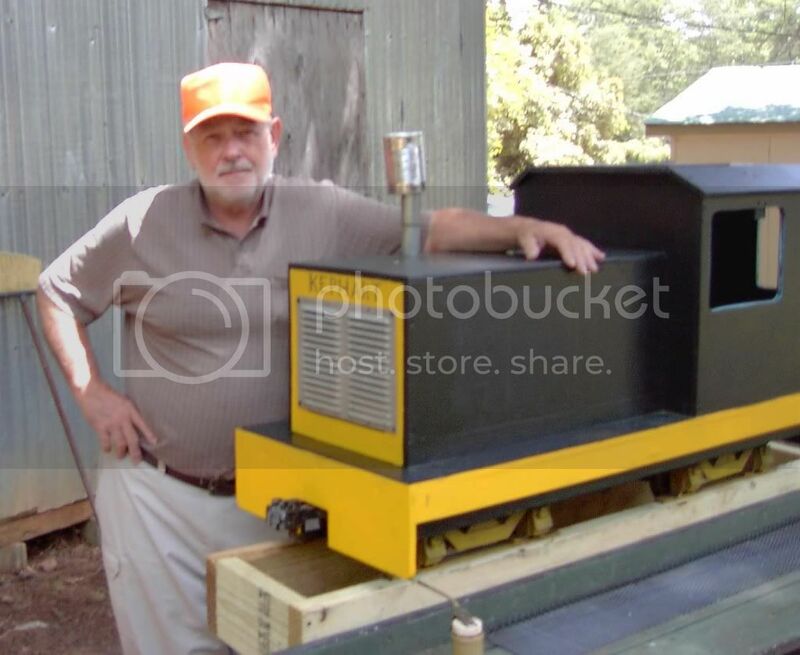 But using this track to model 36in narrow gauge, the models, even tiny prototypes, become fairly massive. Just like On30 on HO track. A few weeks back I bought a used gasoline powered locomotive (a true gas mechanical) and started from there. The unit came with a 1/8 scale box cab body but, of course, my plans were for something NARROW GAUGE. 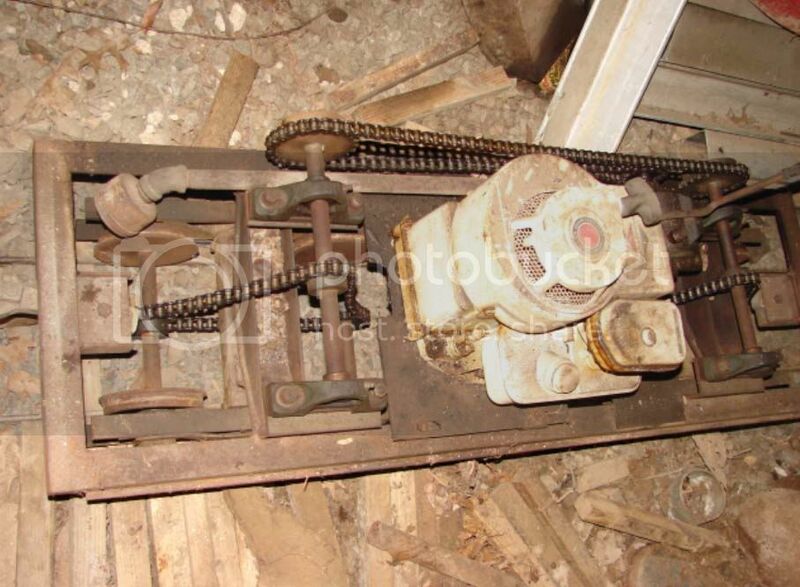 A bit of measuring confirmed that a conversion to something about like D&RGW's no. 50 would work. I have built a 1/2 plywood mock up to check everything out and see how it looks. As I wasn't able to make a true model of no. 50, I'm calling my freelanced unit no 51. No. 51 mock up on test rack with me for size comparison. That's a just mockup? Can't wait to see the finished project! You could do yard work with that. Need to haul dirt somewhere? Just lay a spur! Thanx, "yard work"is central in my future dreams and plans--to build a small freight yard (pun intended) and do switching. BTW, if you look on the live steam pages, don't expect to see much about 1/4.8. They'll more likely call it 2 1/2 scale. 2 1/2 in/ft. This scale/guage combination is a rapidly growing interest in the ride on size. A lot like On30. You may find this interesting; the "ride on" guys call conventional model railroading "table top" scales. With 5 acres of my own I gave ride on trains some consideration. But in the end decided to stay with 'models' instead. The more I viewed ride ons the less I viewed them as 'models' and more as amusement park rides. Just not where my interests lay. But so long as you're having fun with it, then have FUN. If I am able to build what I invision and get it to operate reliably I think it will be the ultimate "close focused" model railroad. Maybe the best way to do this is to be dismounted and running the engine by radio control? A true, really BIG SCALE, model railroad. I would have used an empty Old Grandad bottle.